You can use any kind of jam you like: orange, tangerine, lemon, strawberry, apricot, plum, peach, raspberry, quince, apple, etc. I used strawberry and peach jam, because I had those in my fridge, and it turned out great. In the dough I put clementine zest and cinnamon, so I can enjoy the taste of foods that remind me of Christmas. 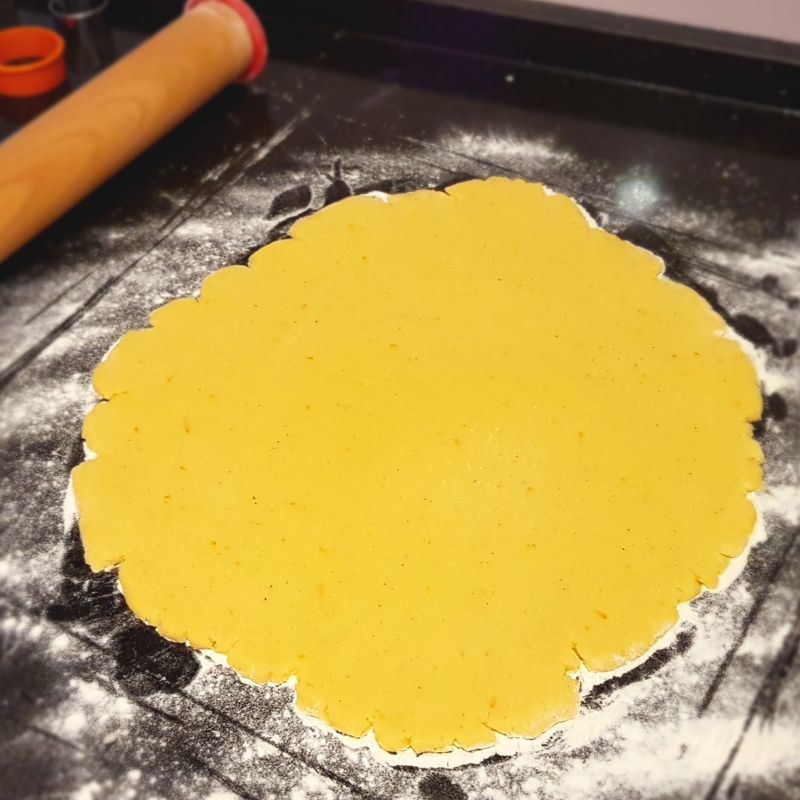 You can experiment with the dough with different flavors, like cinnamon, nutmeg, cloves, ginger, allspice, lemon zest, orange zest, clementine zest, etc, or you can substitute small part of the flour with ground walnuts or almonds. If you keep track of your weight, I’m recommending putting less sugar in the recipe. 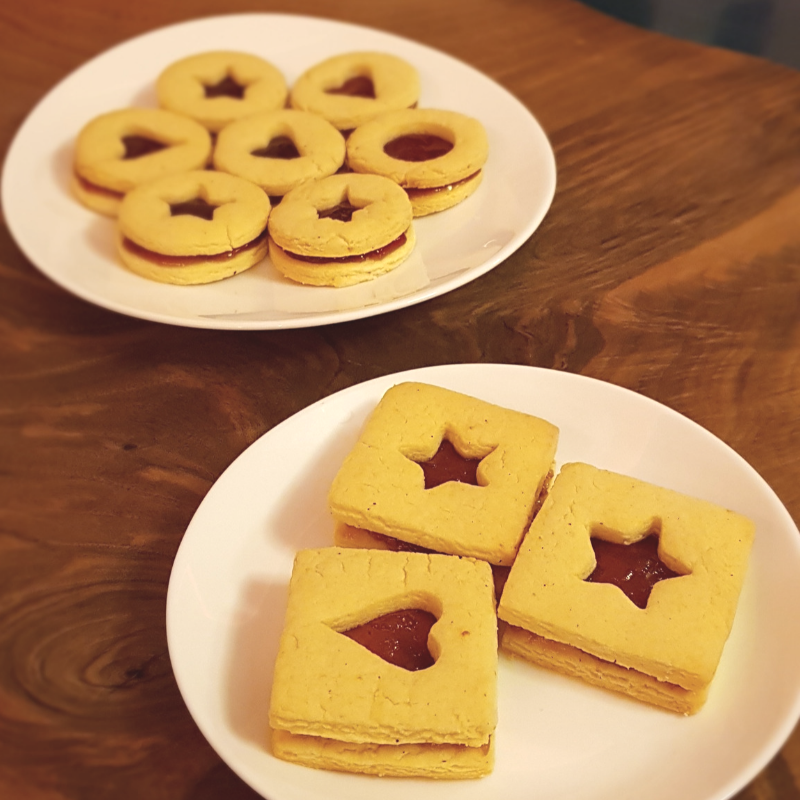 These cookies have jam, so it doesn’t change a lot in taste if you reduce the amount of sugar in the dough. 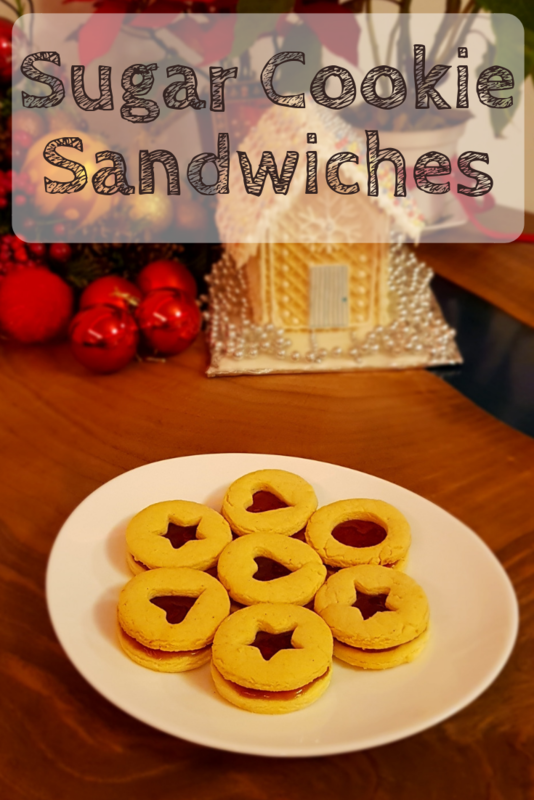 Keep the jam filled sandwich cookies in a closed container, in a dark and cold place, or in the fridge, so they can stay soft and fresh for a longer time. 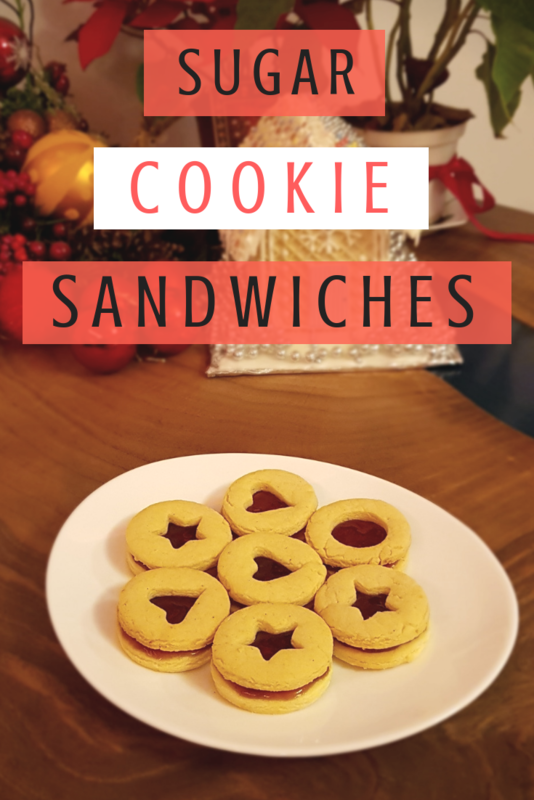 I made these cookies few days before Christmas, and I served them on Christmas Day. They were soft and chewy, much tastier than the first day I made them. For rolling the dough I use this adjustable rolling pin with removable rings. This rolling pin evenly flattens the dough to ensure uniform baking. I use it for cookies, pizza, pie crusts or everything else that needs uniform thickness. 6. 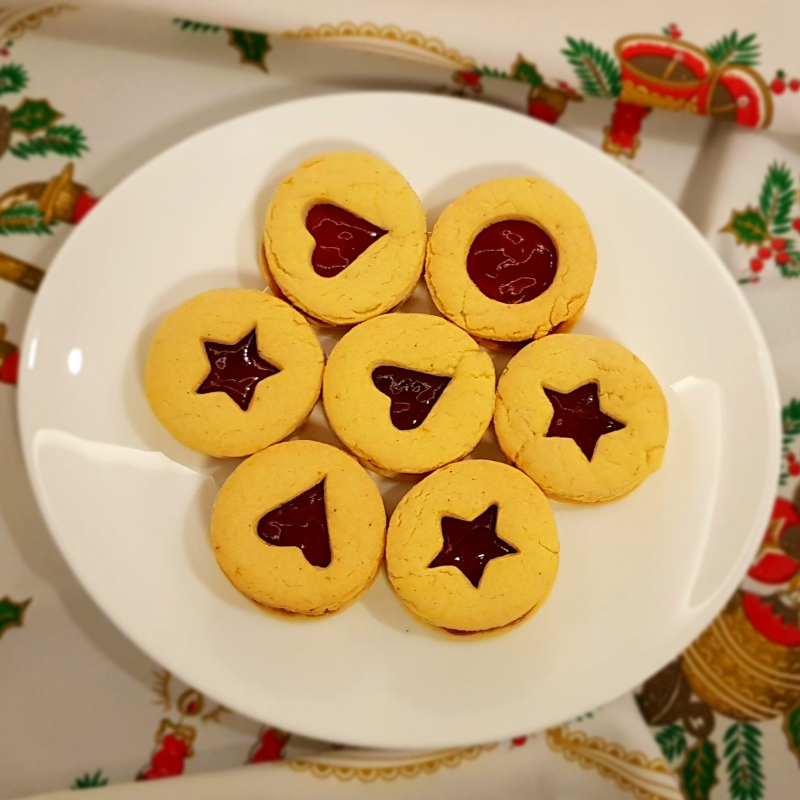 When they are completely cooled, spread the jam on the cookie base and cover with the poked cookie.